Travel Baseball League for ages 8 and under (8U), 9U, 10U, 11U, 12U, 13U, 14U. The CBA has a long history of travel baseball in the Maryland/Virginia region. The league provides a good mix between flexible schedules, competition on multiple levels and the perfect locale. The CBA offers a Fall Transition League along with a full Spring League that includes a season ending tournament. 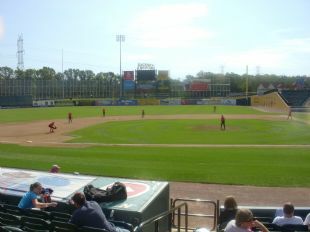 The Fall season games are primarily scheduled Friday through Sunday after Labor Day to the late October/early November. The Spring season offers both full and part time play, the CBA has league focused teams, tournament teams and hybrid organizations. Our Spring Season normally consists of 100+ teams across all age brackets. The geographic region for most games are in Anne Arundel and Prince George's as well as adjoining portions of Calvert, Charles, and Howard counties in Maryland along with select locations in Washington DC. The CBA is run as a not for profit league with the goal of improving our young people within a positive, competitive environment while preparing our players for high-school level play.